LindaE is an Earth Spirit Guide, Spiritual Teacher, Yogi and Reiki Master. Linda has always felt a deep connection to spirit from her early childhood, and has possessed a natural ability to cross multi-dimensions and to manifest using the power created by thought and belief. Indeed, Linda’s highly attuned intuitive abilities were apparent during her professional career as CEO of a business consultancy. For more than a decade, Linda successfully integrated her academic skills and spiritual practises into the corporate world. She became well-known for her guidance and assistance to thousands of business owners where she showed them how to tap into their intuition, and channel the power of their belief into manifesting the success they desired. Although faced with ridicule and scepticism during the 90s, the results were indisputable and her success undeniable. However, it was in mid-2005 that Linda’s life was to change dramatically, where her corporate life was to dissolve, and her spiritual work was to emerge to take front stage. divine purpose to serve you in your life’s journey. Linda’s worked branched into the humanitarian aid sector, where she advised communities and government decision makers in developing countries on projects aimed to help alleviate poverty. Whilst conducting a project in Vietnam and only weeks after the death of her mother in 2005, Linda was struck with an illness that for 5 years left her in chronic pain, plagued with doubts, and a burning desire to find answers to life’s questions. Linda had exhausted the western world’s theories and medical advice, but came to a dead end. So equipped with a belief that life presents opportunities for us to learn and grow, she ventured to India. Linda’s mission was to find answers to her many questions, be healed physically and spiritually, and to find her life’s purpose. Linda’s extraordinary encounters with spiritualists, healers, scholars, traditionalists, and energy workers in India, and later Sharman’s in the Amazon jungle, and Incas in the South American Andes transformed her life. Linda emerged 2 years later physically healed, a Spiritual Teacher, an Intuitive Guide, Yogi and Reiki Master. Awakened – Linda had found her life’s purpose. She now travels throughout the world speaking, guiding and teaching people who are spiritually awakening in this new world energy. Linda teaches people how to use spiritual and ancient techniques to calm their mind, heal their body, connect to their spirit, and how to harness and use universal energy to create abundance in their life. During Linda’s corporate life, she felt compelled to spread her message and reach as many people that she could to help. Linda wanted to awaken them to the spirit that is inside all of us. Still entrenched in the business arena and at the helm of a thriving consultancy, Linda became a regular columnist for several national business journals and magazines. 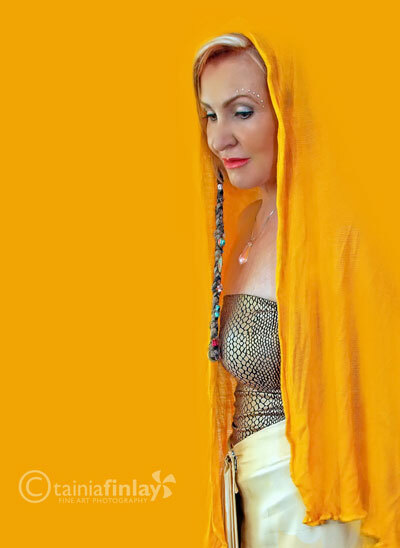 With her reputation as a leading business advisor and marketing strategist secured, Linda skilfully wove spiritual applications into mainstream business practises. Indeed, Linda’s first publication in the 90’s titled ‘Gut Instinct ….Your Best Friend in Business and in Your Life’ was her debut in bringing the intangible and esoteric into the world of business. Although a risky career move in view of her corporate profile, the publication received overwhelming national and international acceptance, and Linda became a sort after speaker and writer on using creative visualisation and intuition as vital tools in business and life success. Linda’s publications led her to write an international best seller titled ‘Smart Marketing’ which featured a chapter on a ‘business plan that sits on your wall and not in your draw’. The focus was on how to channel your personal energy into creatively manifesting your needs, dreams and desires. In present day, the core of Linda’s published works and presentations is centred around ancient and spiritual techniques that aim to assist those who are spiritually awakening so they can be joyful and create abundance in the new world energy.